There are millions of modern trend stock photos but how we choose the best one of us, royalty photos are invaluable asset for any designer. However when it comes to finding the right photos; one can easily spend hours searching for it. Great photos to refresh your mind at getting people’s attention as long as you don’t make them too text heavy and you include an eye-catching most effective photos in look-at-me colors and sharpness. 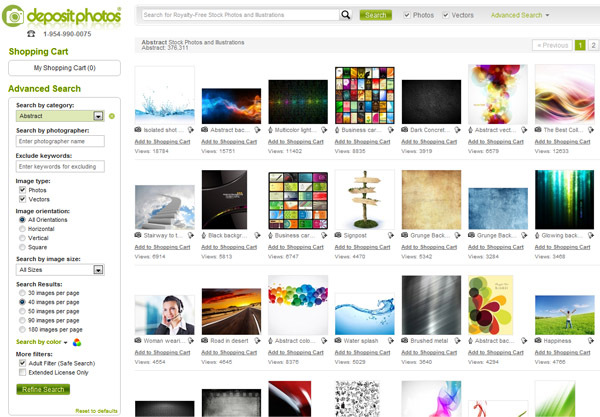 If you really wants high quality free stock photos so the best resource for royalty-free photos is Depositphotos.com. This site is a complete source for premium royalty-free stock photos, illustrations and vector art. If you are a designer, advertiser, photo editor, content manager or blogger, you can find millions of high-quality photographs and vector images available at affordable prices to fill all your image needs. Depositphotos gives huge categories search like abstract, animals, art…and all the way to tools, vectors or vintage images. The prices are very good: the smallest one costs $0.5 and the largest one is $9. Also, all the vectors have the same price, which is $9. 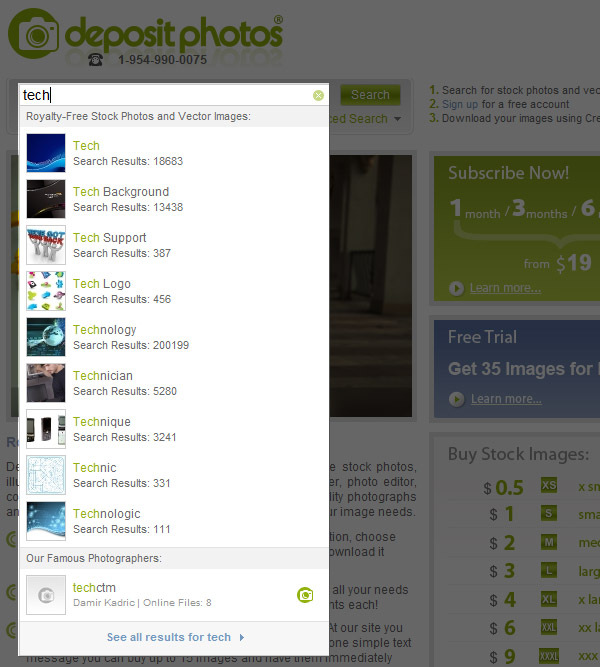 Searching for an image on Depositphotos is very easy. They have an very fast engine which shows you live results with image thumb regarding what you are looking. Depositphotos have more advanced search option which you can set up things like keywords, categories, image orientation, photographers and much more. If you are running blog or website and your are looking for some fresh new photos, stock images, free vector images, education images so you must subscribe at Depositphotos.com and downloads free high-quality images. If you think your have a good photography skills and you added creative work in your portfolio but you don’t have site to place or upload, so join the Depositphotos.com “special program for authors with large portfolios” and upload your portfolio. You can download high-quality royalty free photos, illustrations and vector images for your next projects. Depositphotos.com allow you to downloads 5 free stock images per day for 7 days. Thank you for this share, I like it and I like most of any website for vectors showcase and Vectors Graphics Resources ,Which are available on your blog. I hope you will add up more graphics resources on your Blog in Future,which will help out to others. I agree about logo sites they are expanding so much, the problem is as a designer, I can’t find a free logo eps and ai format, I wonder how is possible you did not list the biggest database for free logo in the web with over 200k EPS and AI format logos, http://www.logopub.net + the snapshot. Hope you can add it to the list to help the maximum possible of designers.